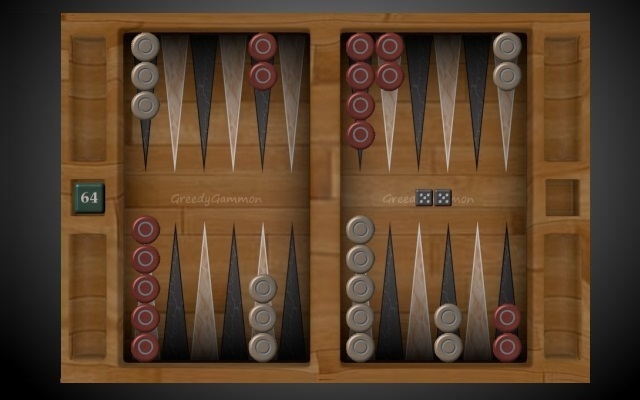 Enjoy online / offline backgammon with the following features..
Update: GreedyGammon 3.0.x is here!. More exciting fun features in the works..
Current version of GreedyGammon 3.06x offers a peer to peer connection scheme that eliminates the dependence on a central server. Visit the forum for instructions. And of course you still have the gnubg based bot GreedyG for offline games against the computer. GnuBG analysis can be launched right from the end game dialog screen. There is no waiting for bots. They are always ready to play. And when you are ready for player vs player games against your friends or to discover people who may want to play against, visit the forum for the connection instructions and post your profile in the new forum section to find new players. 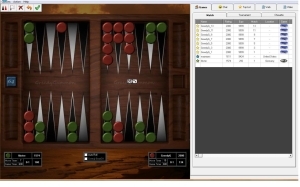 GreedyGammon forum has instructions how to use gnubg to analyze your games, how to connect and play with your friends, and lots of general backgammon topics like position analysis, backgammon videos, and much more. Visit, download and enjoy!